AcroYoga takes elements of low acrobatics + partner yoga and combines them into a fun, accessible practice. People move between the roles of flyer (person on top), base (person on the bottom) and spotter (person in charge of safety). Did you ever play airplane on someone’s feet when you were a kid? Well.. that’s ACROYOGA! The practice develops from there, with the flyer making different shapes and moving through different patterns or flows on the base’s hands and feet. There are Acro classes, which are structured and instructive, and then jams, which often take place outside in public space, when the weather is fair. When you are casually walking through a park and see someone juggling another human on their feet? That’s AcroYoga. Why Should I Try AcroYoga? How often as an adult do you get to PLAY? To truly to experiment with your body in space, to move, to not worry about whether you’re good or bad? In AcroYoga, there is fun in success, but also a lot of fun and giggles in failure. In allowing yourself to come to a place where you know nothing, and figure out the poses and moves. AcroYoga is a sport that requires working directly with other people — as flyers, bases, spotters and teachers. You can’t avoid talking to other people, but being shy won’t stop you from practicing. Acro Yoga is collaborative, not competitive. It’s a partner sport, so you can only succeed together. If you go to an acro class or jam more than once, it is pretty much impossible NOT to make new friends. Nope! There is absolutely NO need to show up with a partner. Show up, show an interest, and people will work with you. If that sounds daunting, take a beginner class and the teacher will put participants into groups, and have them rotate partners. Is ACROYOGA for introverts? Of course! While Acro people can generally be be described as super friendly and very outgoing, not everyone is like that. If you join a class or meet up, you probably won’t have to make the first move to initiate conversation. Expect that people will talk to you. Then play! You don’t need to be in shape! You don’t need to have a lithe yoga body, or be built like a crossfit god in order to enjoy and do well at AcroYoga. A large portion of AcroYoga is made for people who are similarly sized (or similar in size), so people can fly and base one another. It will make you FEEL STRONG even if you think you aren’t strong. It will make you feel light even if you think you aren’t light. It might even make you feel awesome… even if you usually don’t think of yourself as particularly awesome. “Lift People Instead of Weights” is a common saying in AcroYoga world. You will definitely get a workout coming to AcroYoga. For those of us who are a little standoffish regarding touch, AcroYoga opens up the ability to be comfortable with someone else. The power of healthy touch has been written about extensively, and many of us in modern society are deprived of touch outside of romantic encounters. Thus, AcroYoga is a good place for healthy touch with clear boundaries. WHERE DO I FIND ACROYOGA? Many yoga studios around the US (and the world) have AcroYoga classes. If you want to check in it out in a more informal setting, try a AcroYoga Jam. 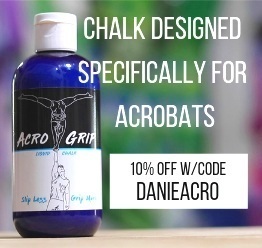 Jams are loosely organized, often outside, and an easy way to try Acro the first few times. 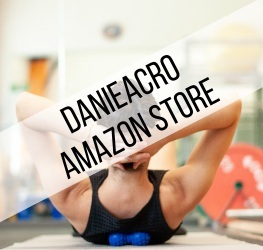 To find your local jam, log onto facebook, and search “Acro Yoga” + “the name of your desired location.” Jam information is generally listed there. You definitely are. Bring a positive attitude, bottle of water and clothing you can move in. If you’re going to a jam, grab a yoga mat, picnic blanket, or towel to sit on. Have a well behaved cute dog? That’s never a bad move.